pretty.pretty.paper: it's because i live in the south. 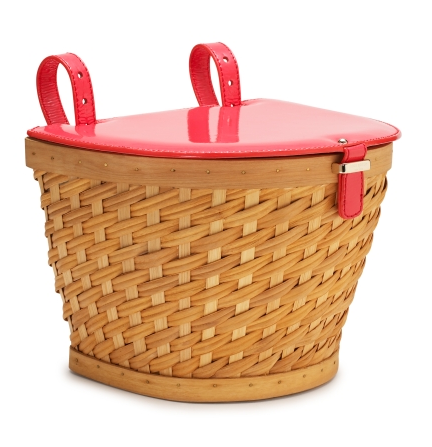 i need things like pretty pink kate spade bike baskets. one for my groceries from the farmer's market that FINALLY started up again last weekend, and then another for my little dog frances to sit in. i mean COME ON, how cute would she be peeking out of this basket? i know, right? I've been searching for a bike basket!! Why must they be $325! Holy! Ah, I need that too. Damn you Kate Spade, you are always making ordinary things so pretty. these are adorable! too bad the price tag is so high, they would be so cute for pic-a-nics. please put francis in a basket.. even just for the photo!